This comes despite something of a mixed bag winter tour of the West Indies, in which the Test team lost 2-1 before honours finished even in the One Day series and the Twenty20 side whitewashed their hosts. As of the end of March 2019 - two months prior to the start of the World Cup - Trevor Bayliss' boys maintain a slender lead over India atop the 50-overs international rankings. The Subcontinent country is home to the IPL, one of the top and most lucrative Twenty20 tournaments in the sport. Home advantage could be a big factor for England. Their players know the pitches best and how they play. The group stage order of play has also been kind with matches against India and bitter rivals Australia coming towards the end, while they are odds-on at 12/25 to win the opening game against South Africa at The Oval. 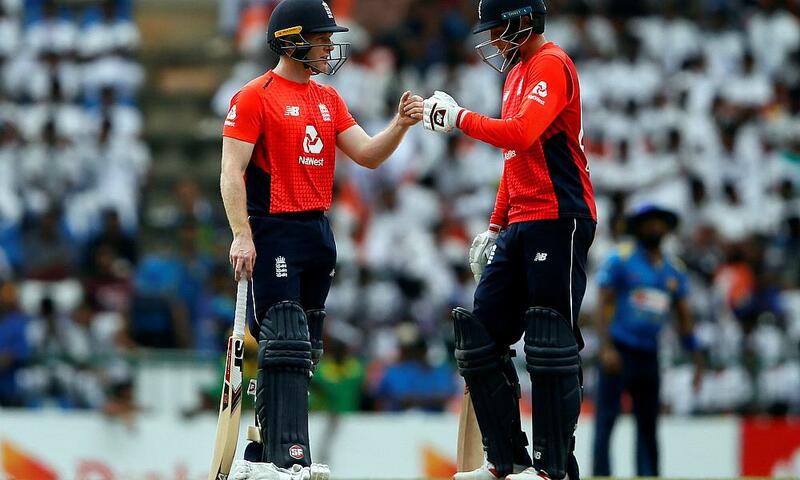 If England can get momentum going and early wins in the tournament, some of the pressure comes off captain Eoin Morgan, Joe Root (a 12/1 chance to be best batsman) and others ahead of the knockout phase. The top four after all 45 group matches are played advance and, given their top dog status, it would be a major disappointment not to see Bayliss' boys at the business end. India's ODI side, meanwhile, have been clipped into 3/1 (from 100/30) for a third World Cup success this summer. Led by Virat Kohli, who is a hot 13/2 favourite on the best cricket betting sites via Onlinesportsbettingsites.uk to be best batsman at the tournament off the back of a One Day batting average of almost 60 for his country, they do have some of the best players in this form of the game. With strength-in-depth to match or even better tournament hosts England, India who are 11/10 for a tp two finish, look sure to run them close. Their group stage meeting at on 30 June at Edgbaston may mean more to Kohli and company than Bayliss' boys, for whom the match is their penultimate before the semi-finals. It could still be a dead rubber, not least because India have more winnable games to follow against fellow Subcontinent side Bangladesh and island neighbours Sri Lanka. Both of those countries are big betting outsiders to make the semis at 10/1 and 6/1 apiece, so all will not be lost if England turn over Kohli's crew in Birmingham. A One Day International ranking of fifth does rather misrepresent five-time World Cup winners Australia when you consider their best batsmen have banned from playing in the run-up to the tournament. The holders have had to do without disgraced trio Steve Smith, David Warner and Cameron Bancroft. It's interesting the latter has signed as an overseas player with County Championship Second Division side Durham this year. Come the World Cup, the punishments handed down to Bancroft, Smith and Warner by Cricket Australia following the ball-tampering scandal during the disastrous tour of South Africa will have ended. Without being able to select such players in the meantime, it's no wonder The Baggy Greens have seen their ODI ranking suffer. All of Bancroft, Smith and Warner have something to prove if welcomed back into the fold and that makes Australia very dangerous indeed. Should either England or India perform below par, then the 9/4 available on the Aussies to reach the final looks great value. They are also odds-on at 7/10 to make it out of the group stage.